Save Marinwood-Lucas Valley - our community, our future: Casa Marinwood Residents are Angry over the FOUR YEAR DELAY to CLEAN TOXIC WASTE. Casa Marinwood Residents are Angry over the FOUR YEAR DELAY to CLEAN TOXIC WASTE. This statement is not accurate, according to his own test results. The test well, SV-26, has a soil vapor reading for PCE of 580 ug/m3, which is three times the allowable limit for residential areas. The SV-26 location is within 100 feet of a residential area. I have provided links to the map and testing data and the health effects of soil vapor. The residents here are very concerned that the plume may have moved into Casa Marinwood, especially since we have had a cancer cluster of six cases. We must protect the environment and the people. 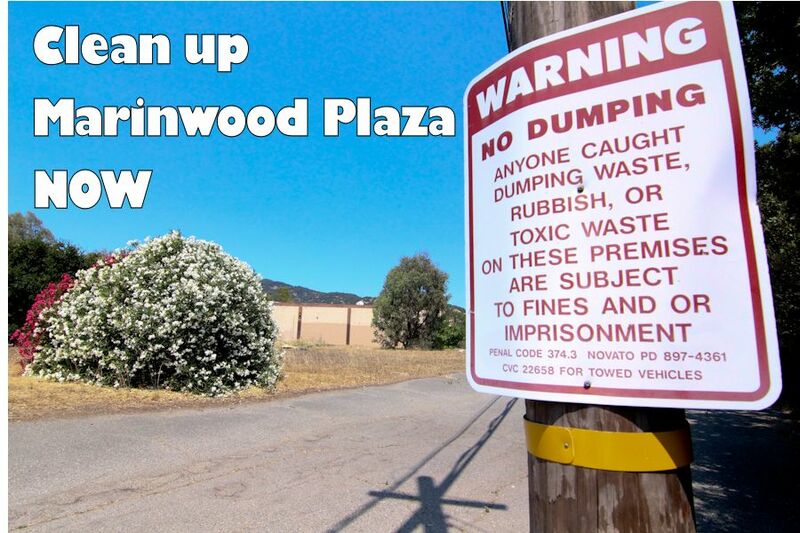 Clean up Marinwood Plaza now.